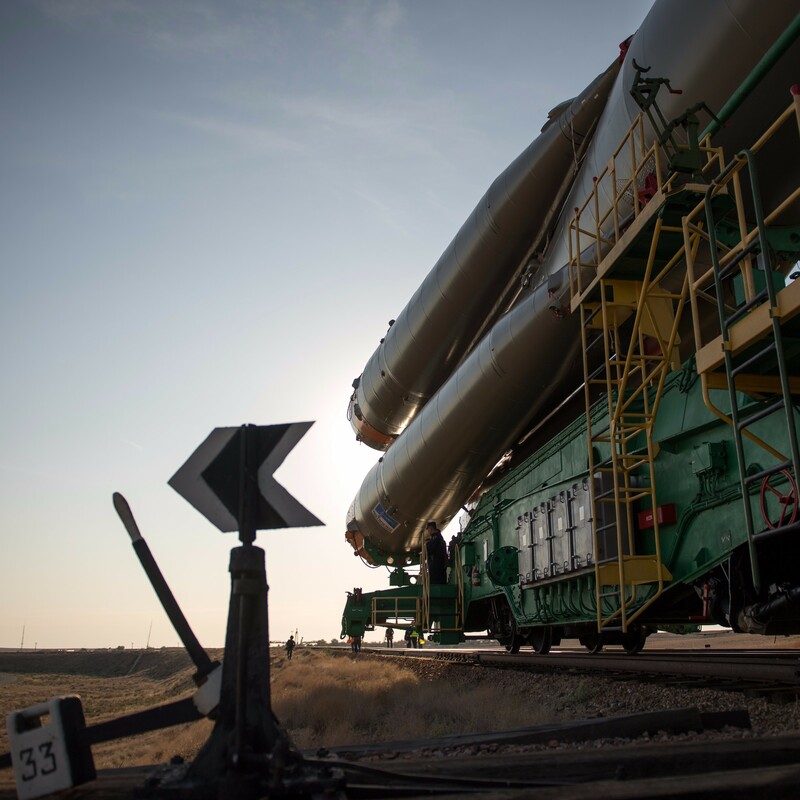 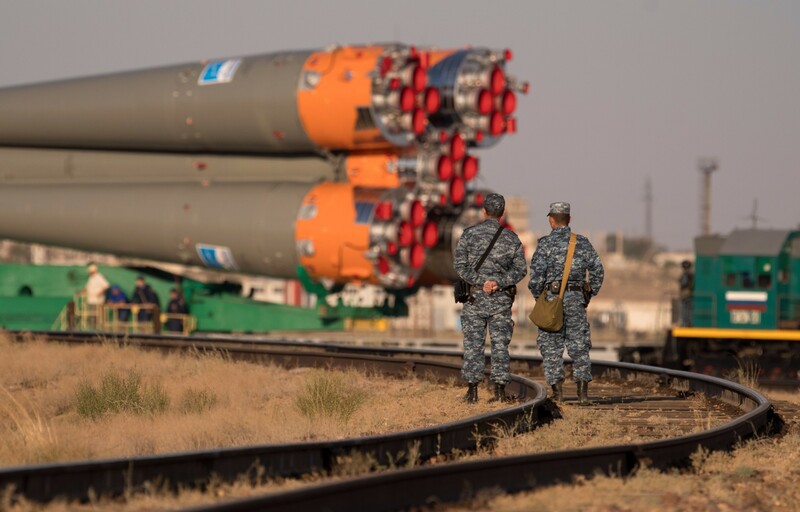 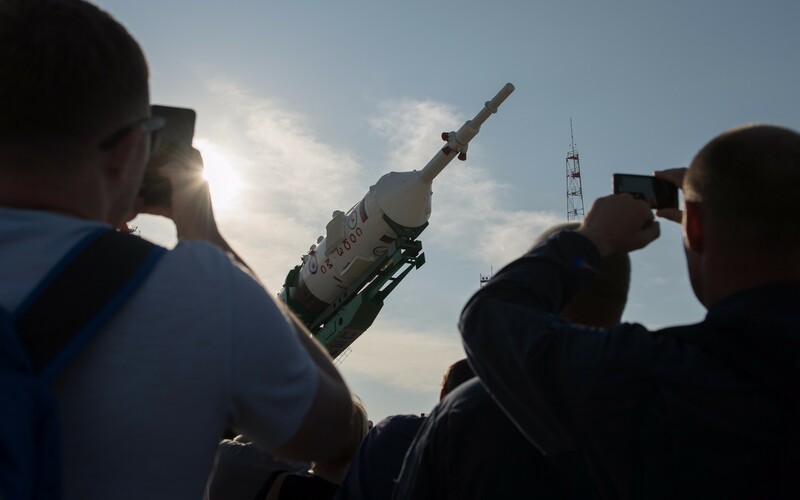 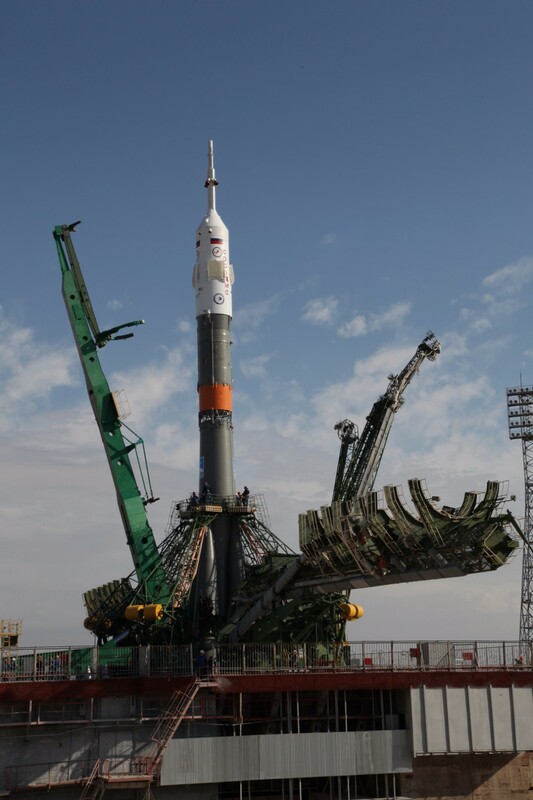 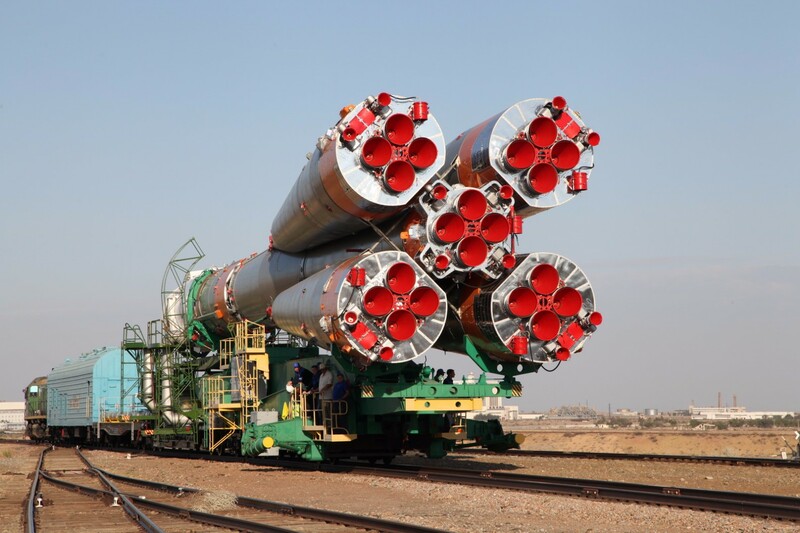 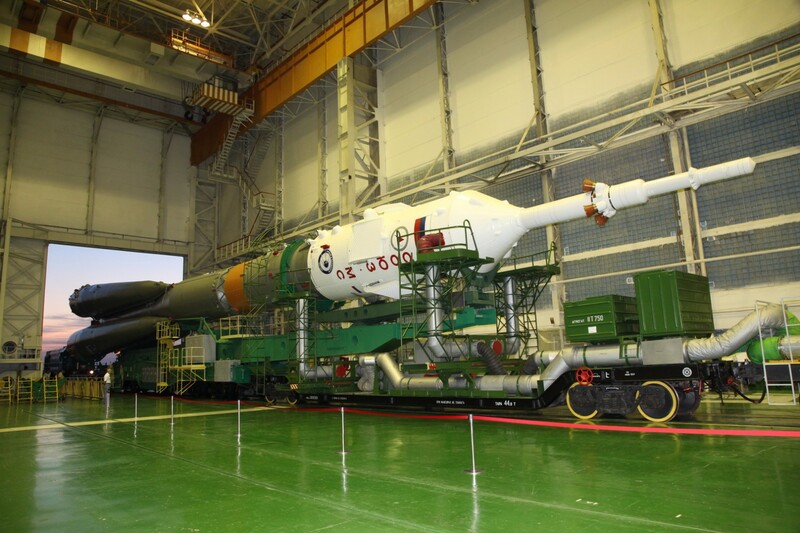 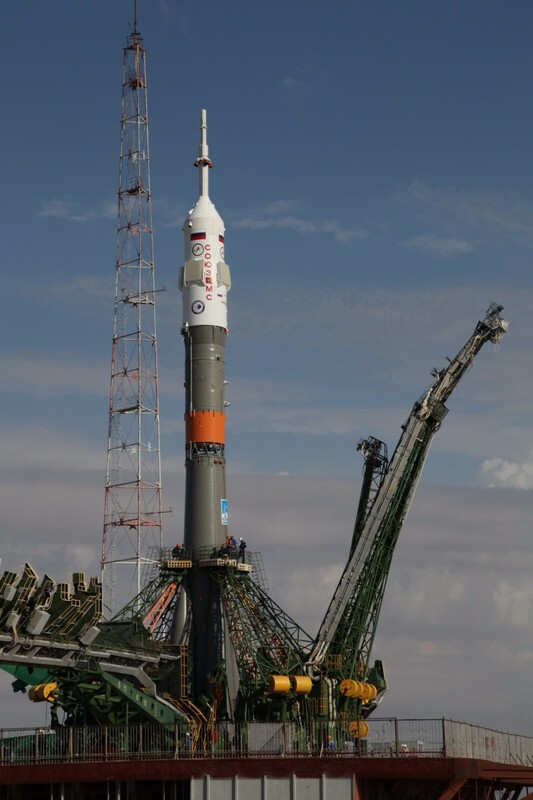 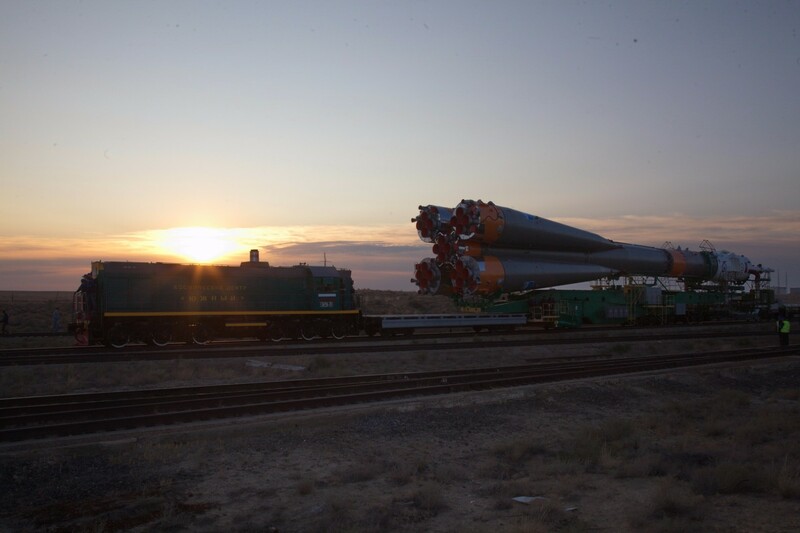 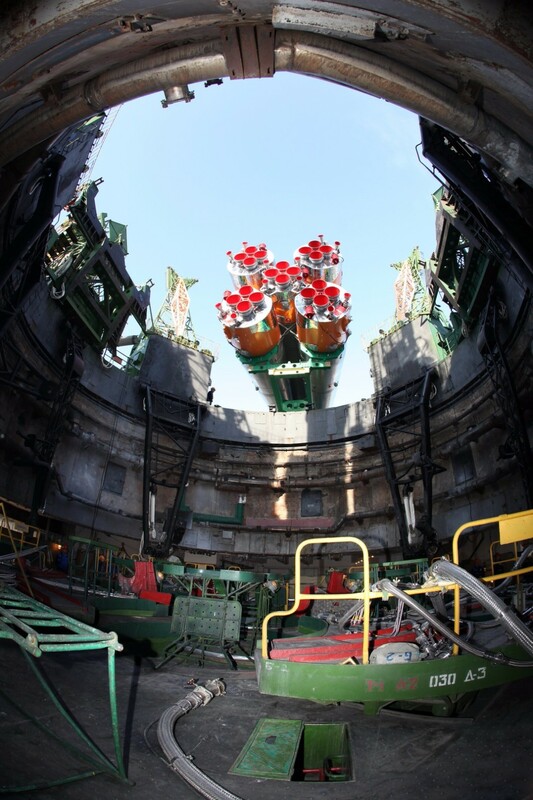 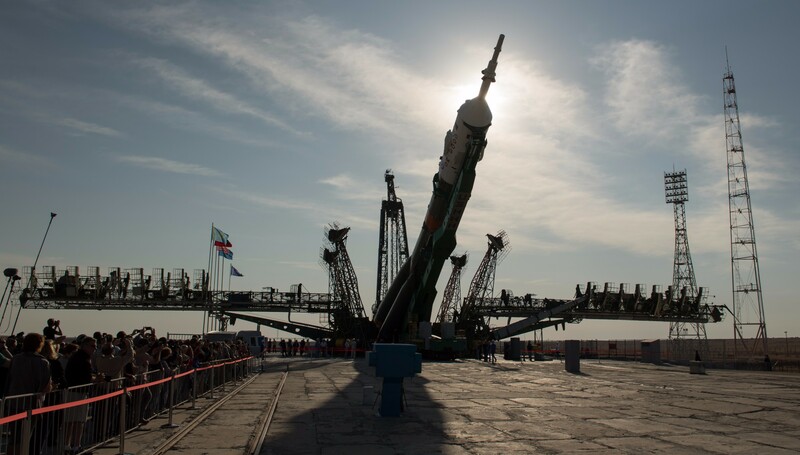 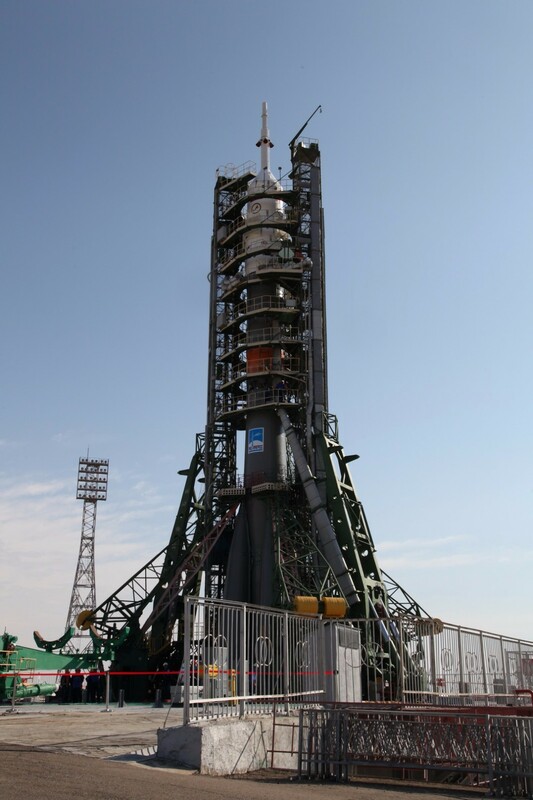 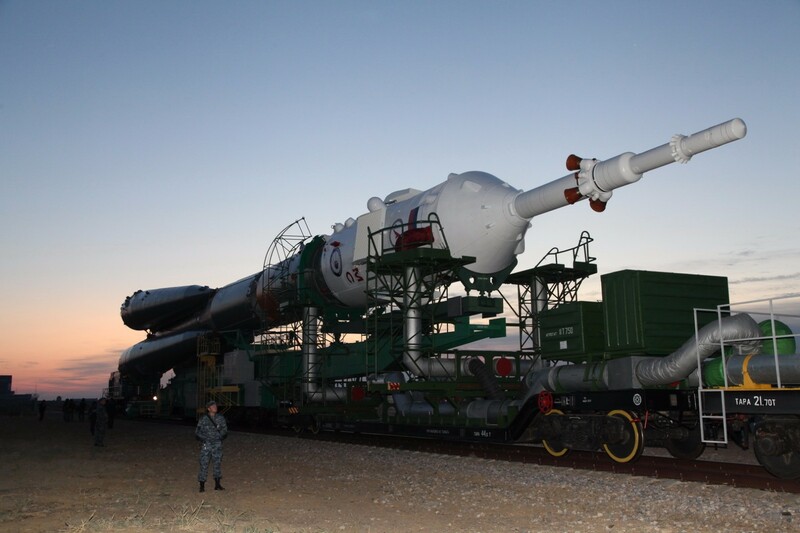 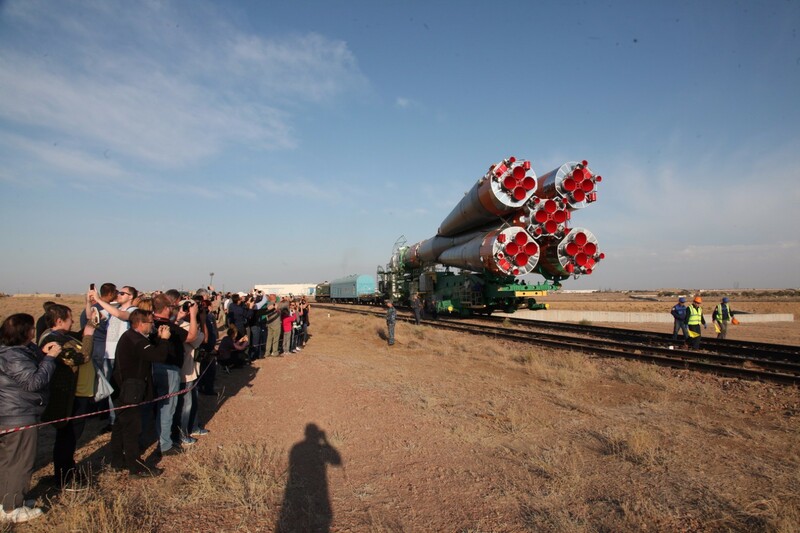 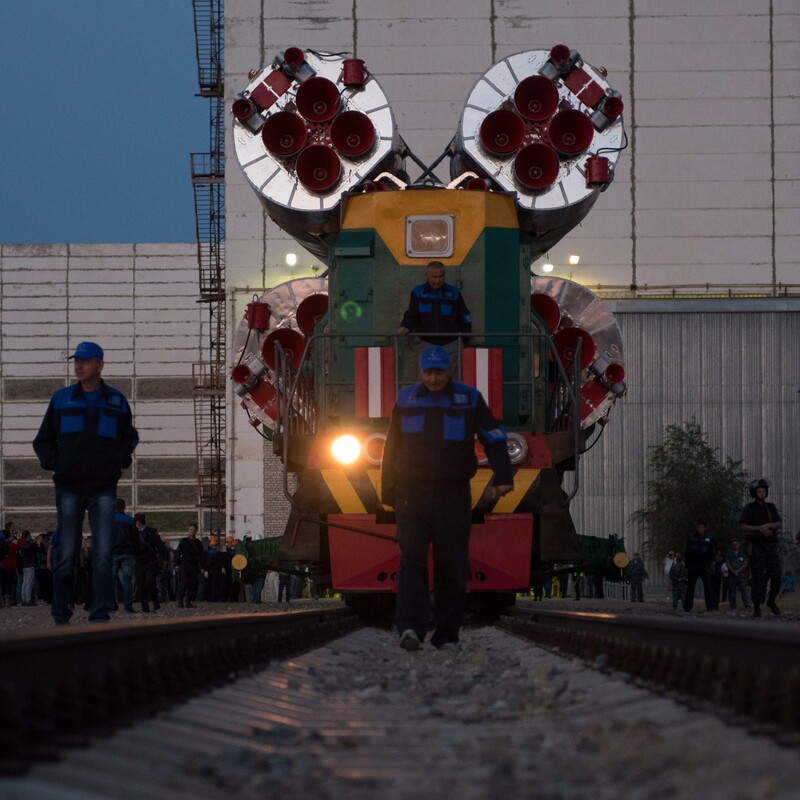 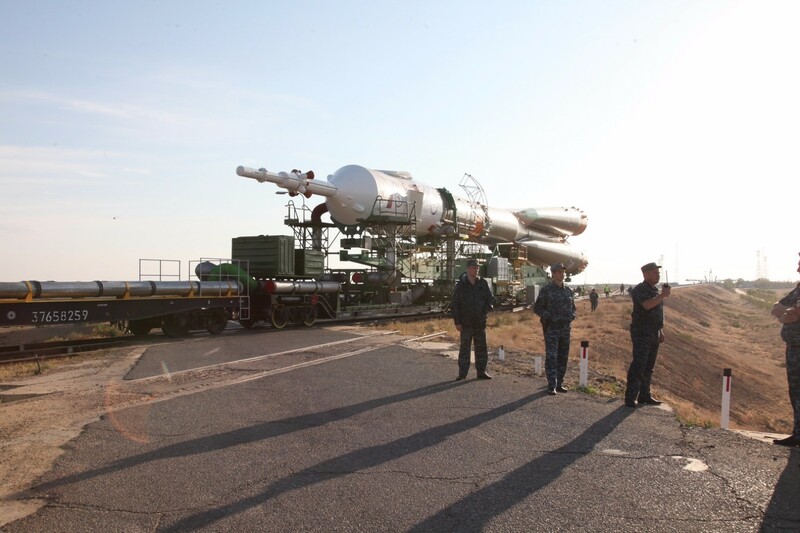 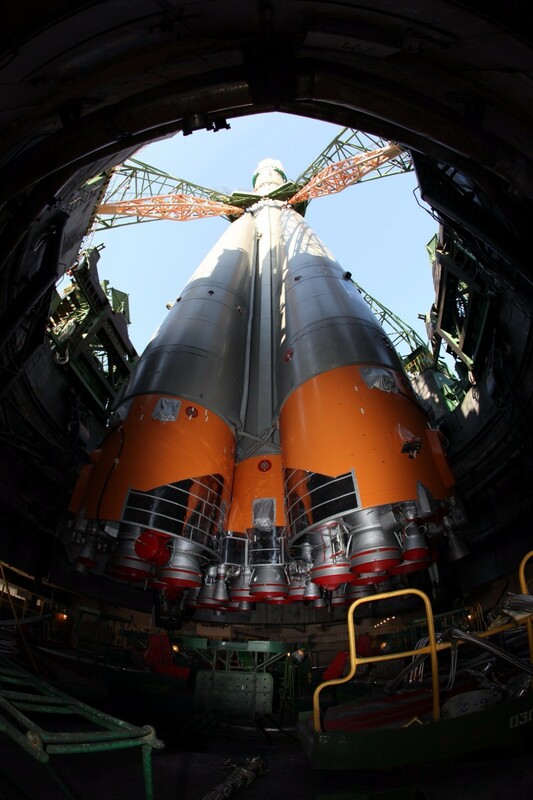 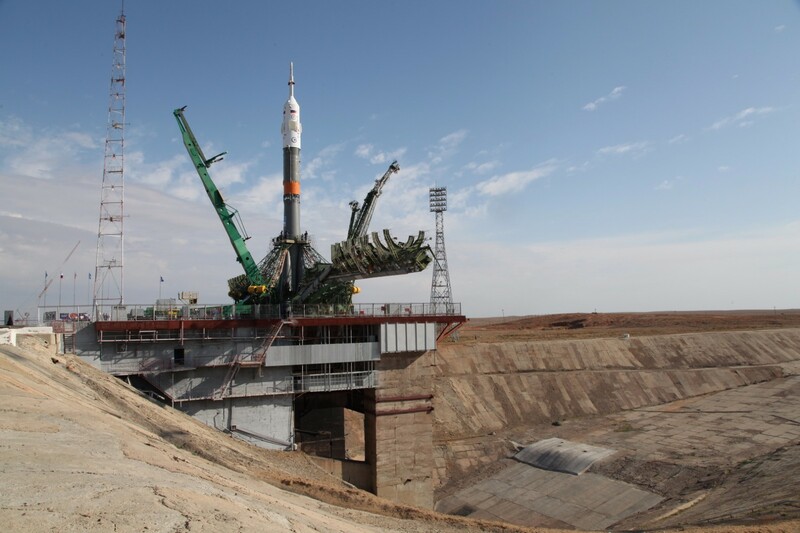 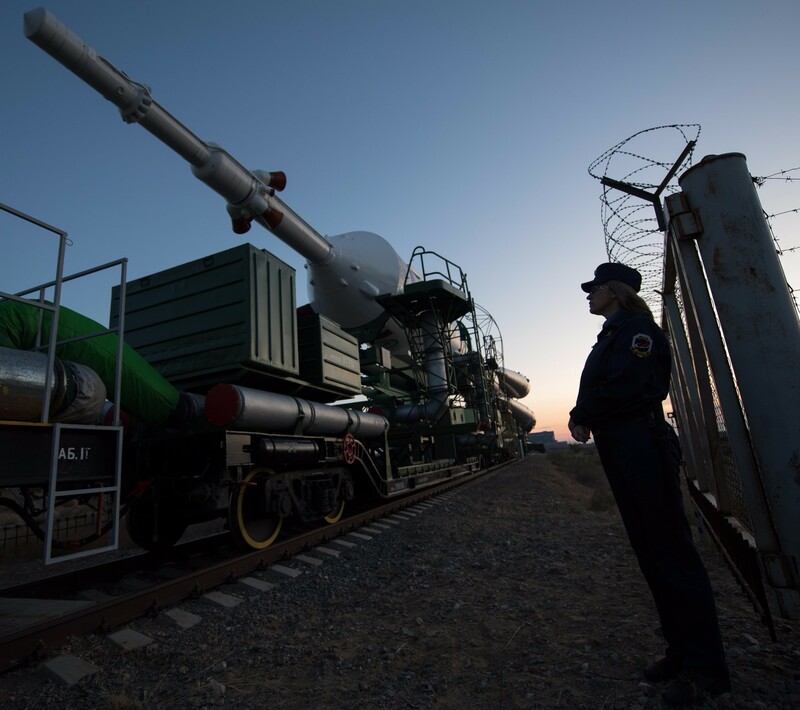 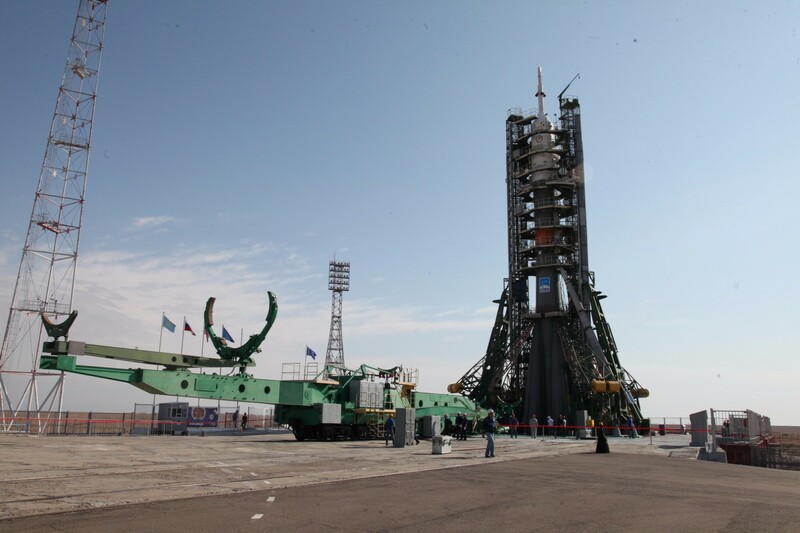 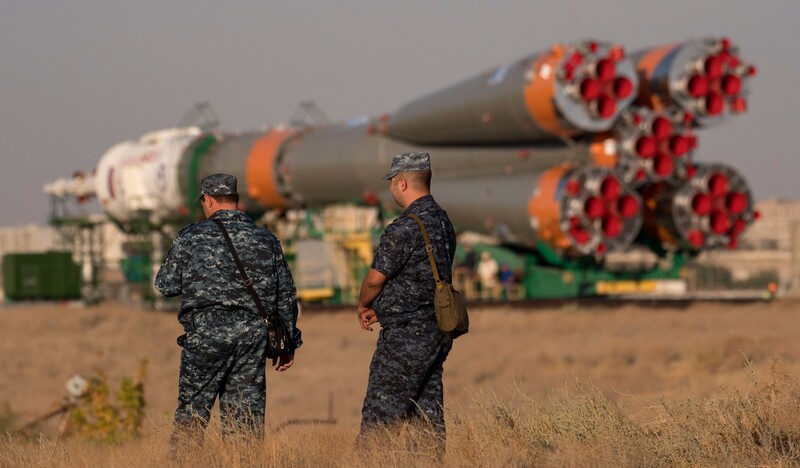 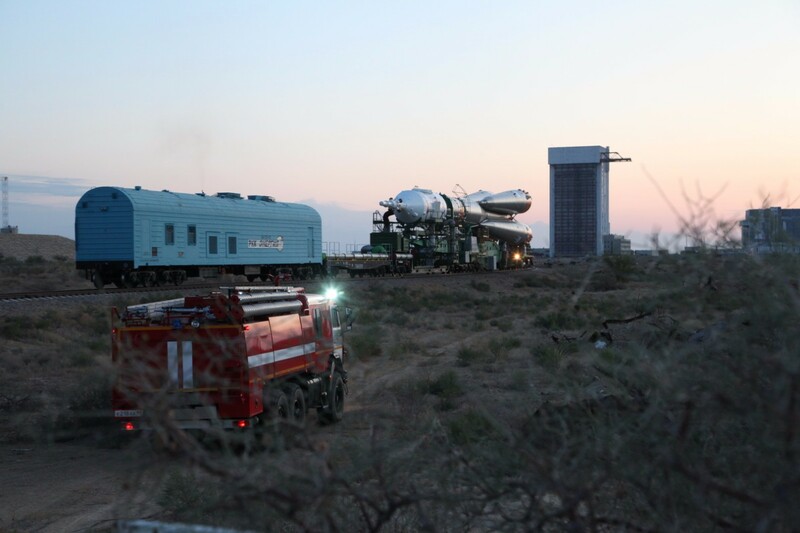 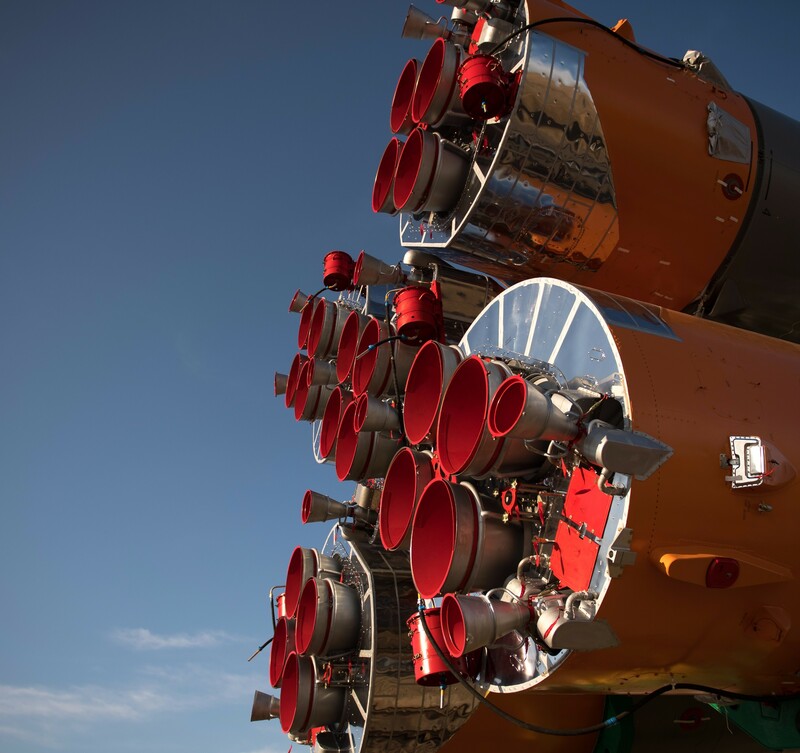 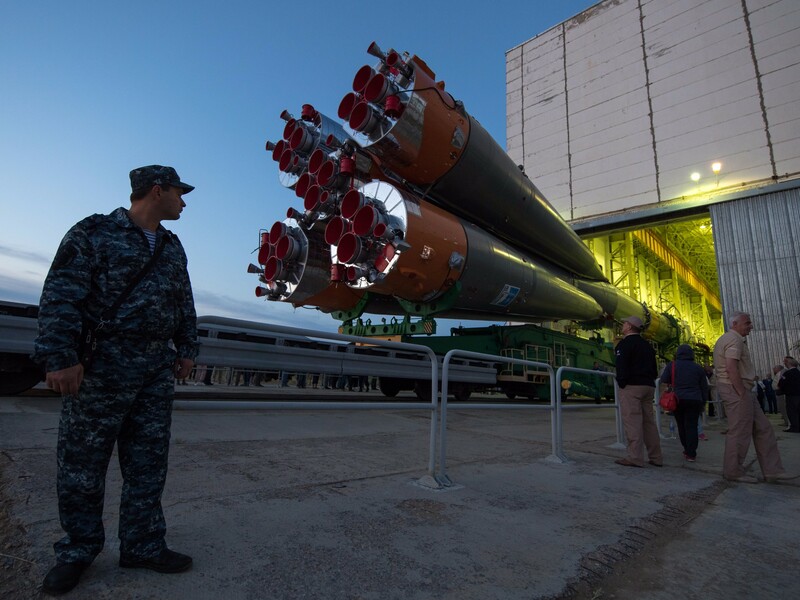 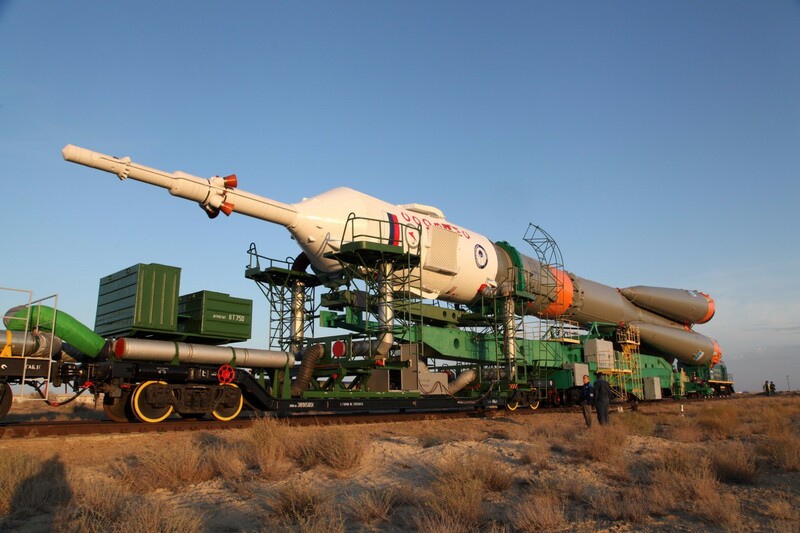 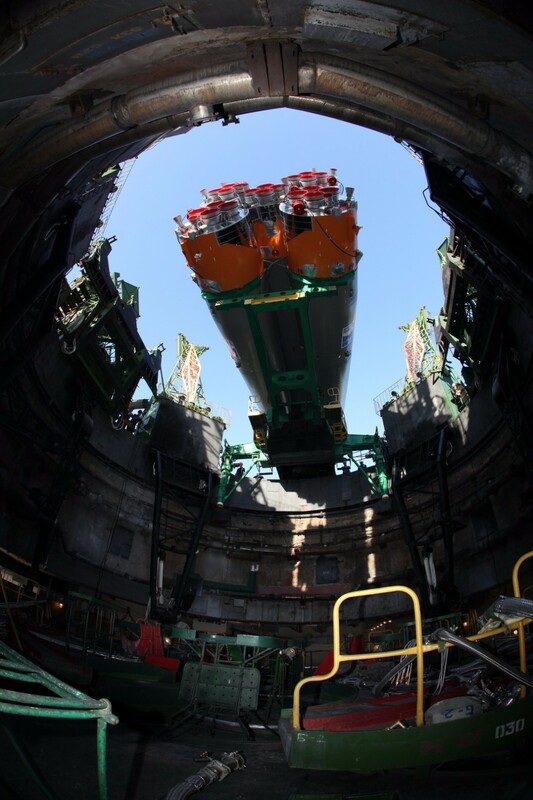 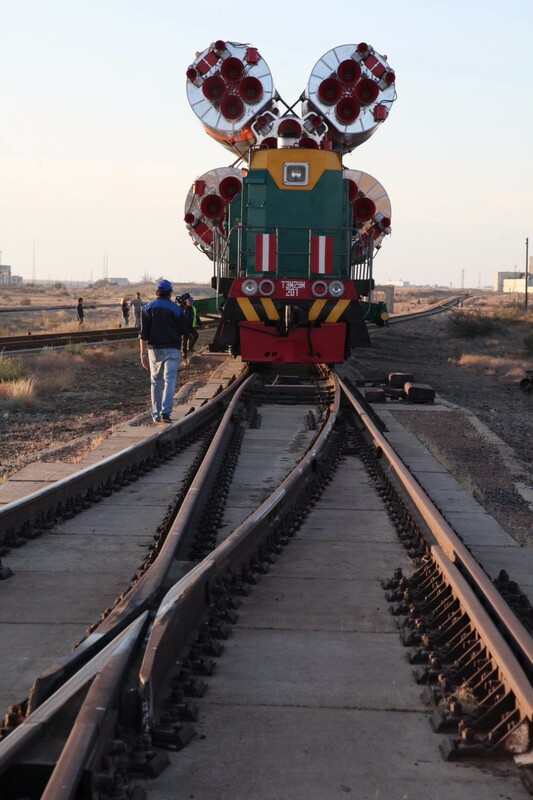 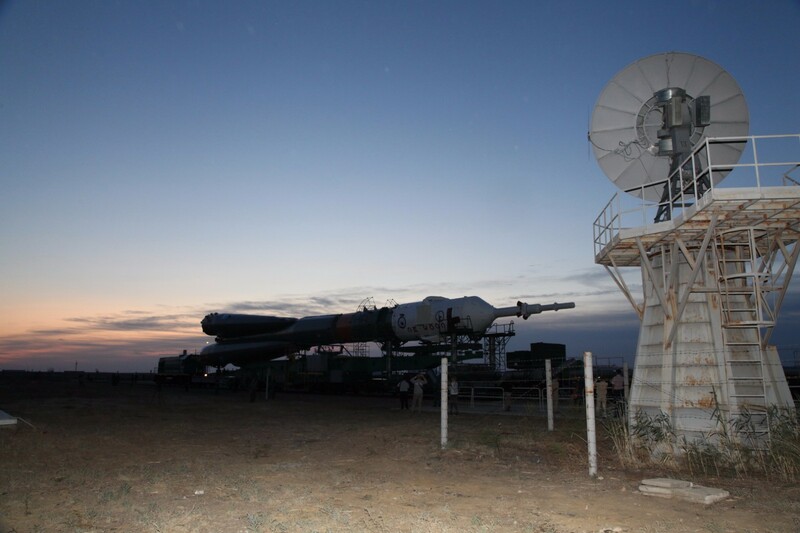 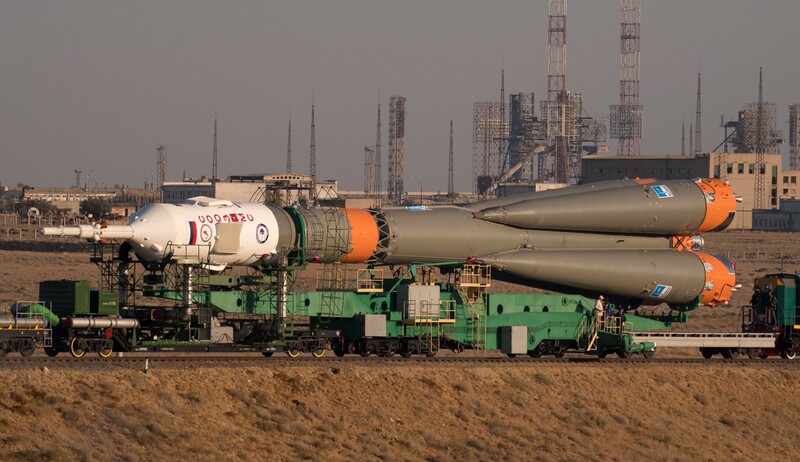 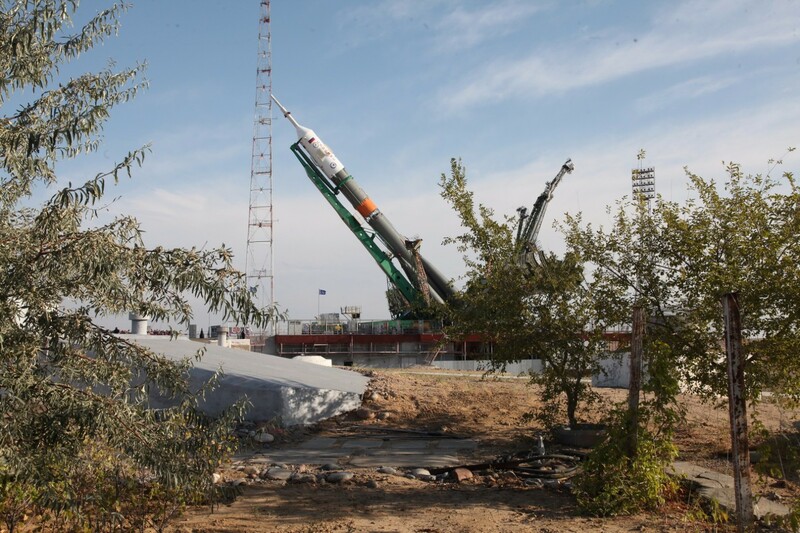 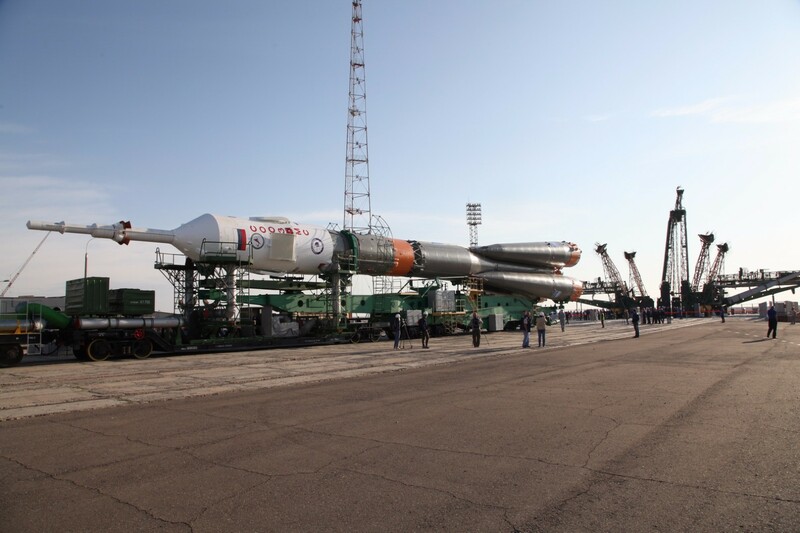 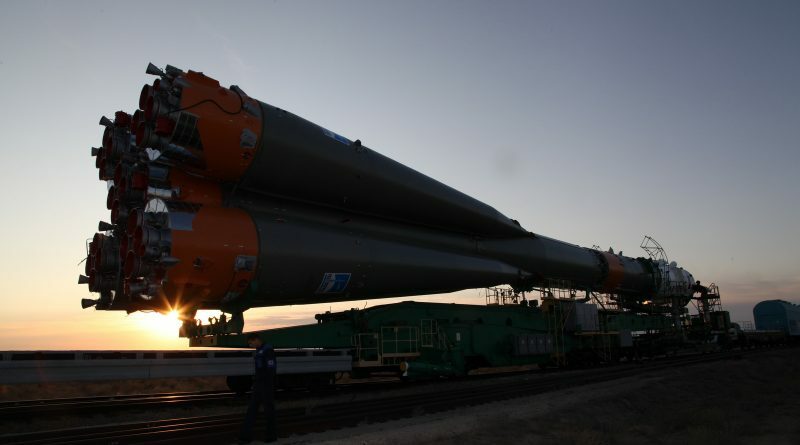 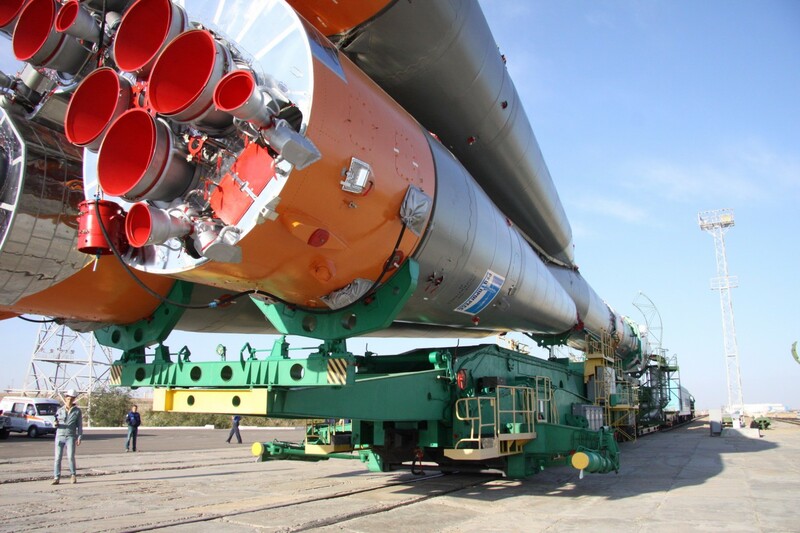 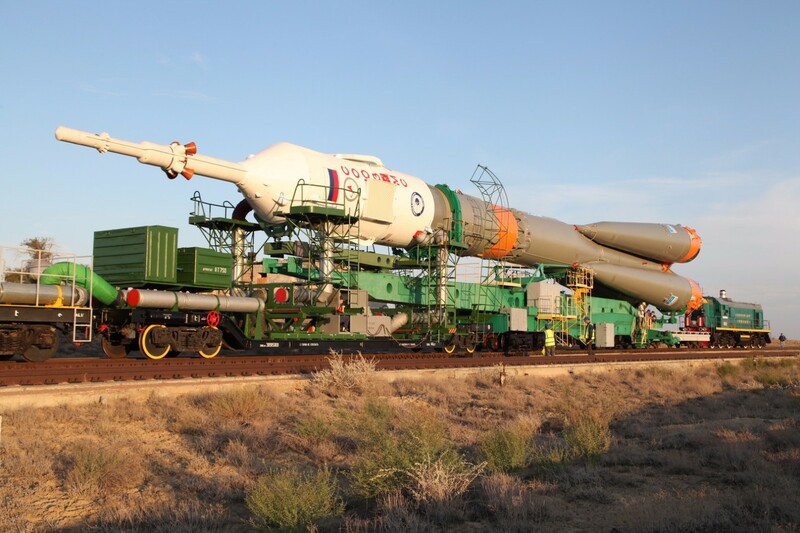 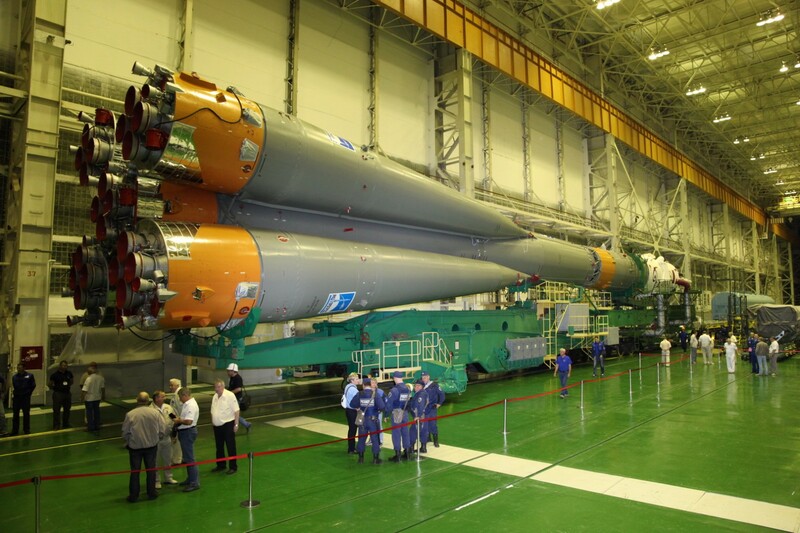 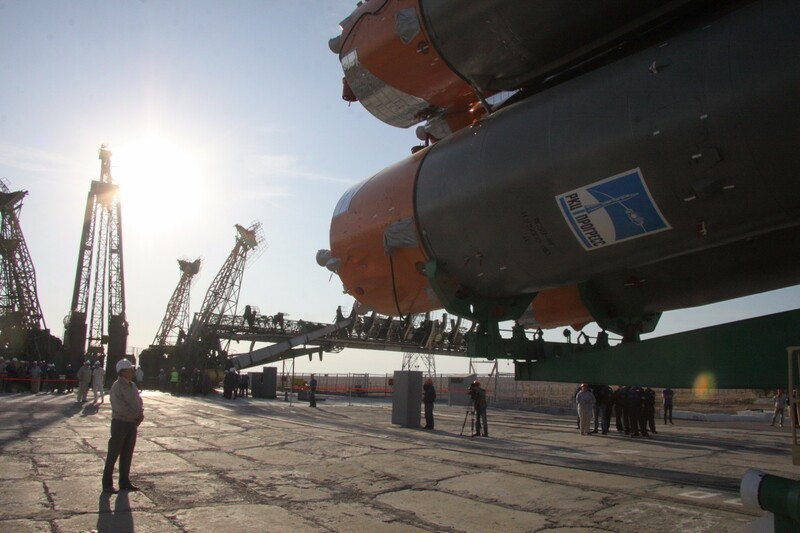 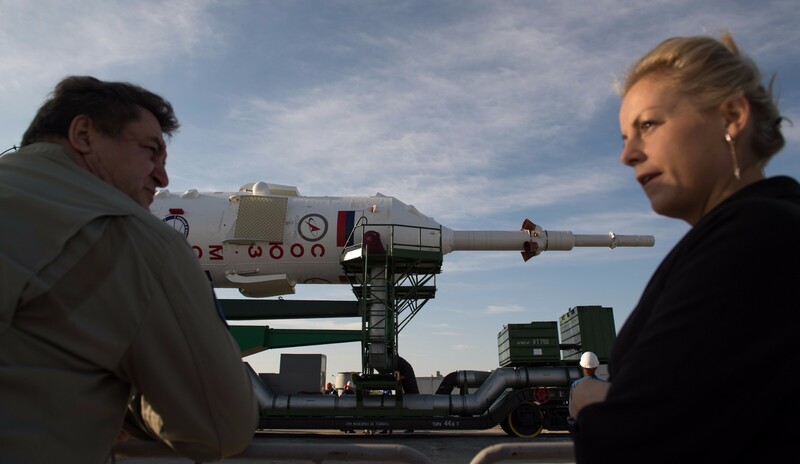 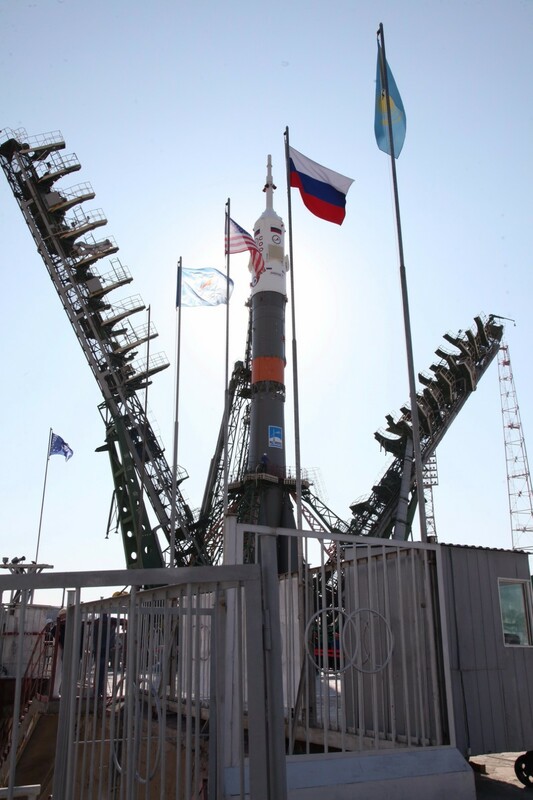 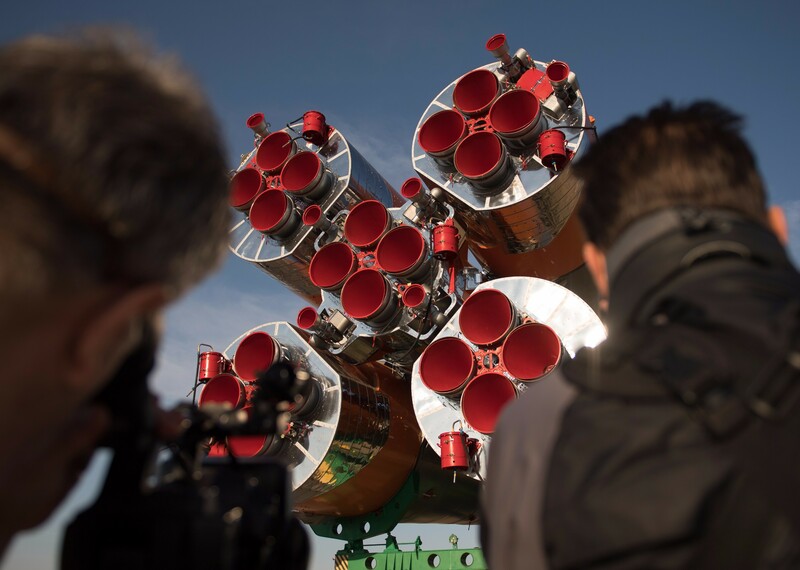 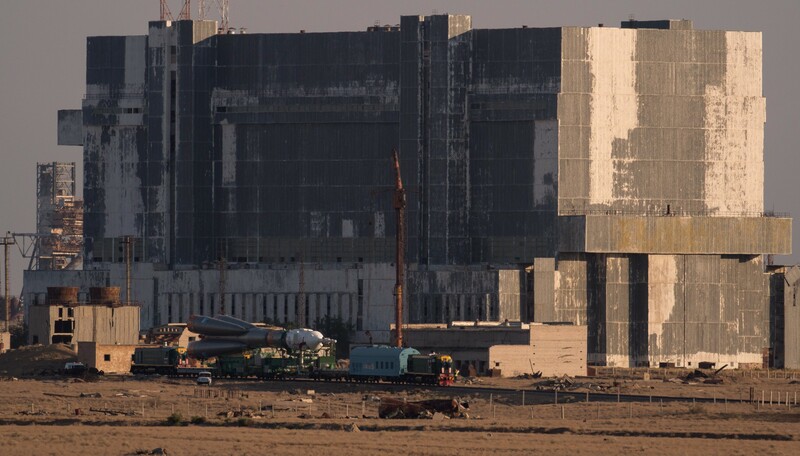 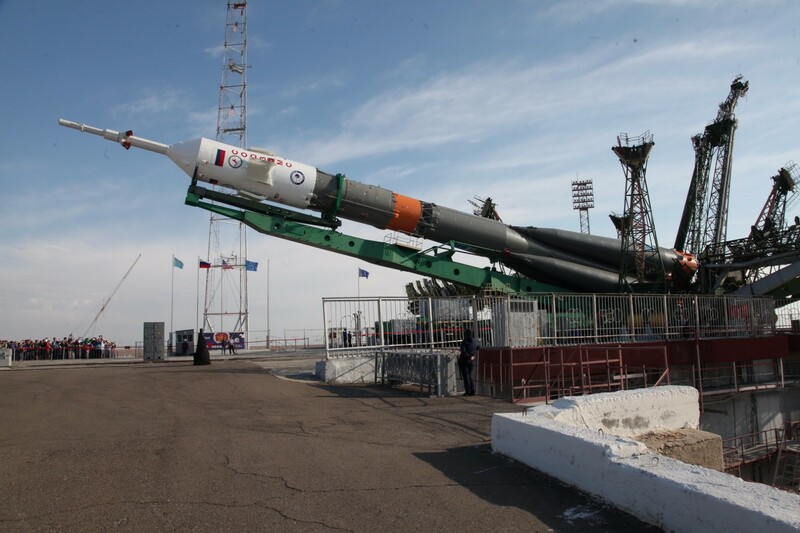 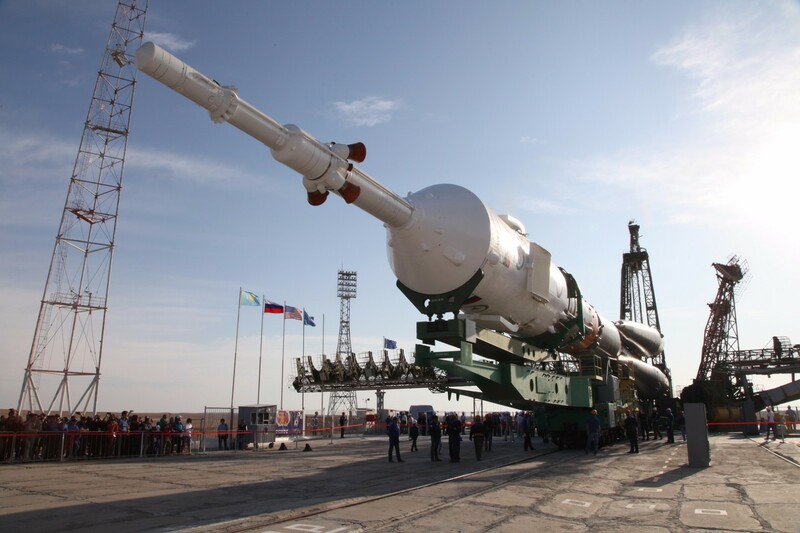 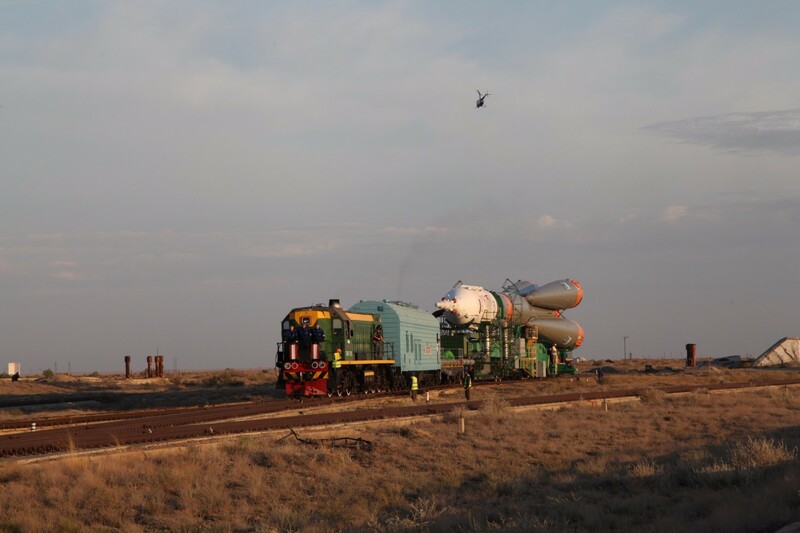 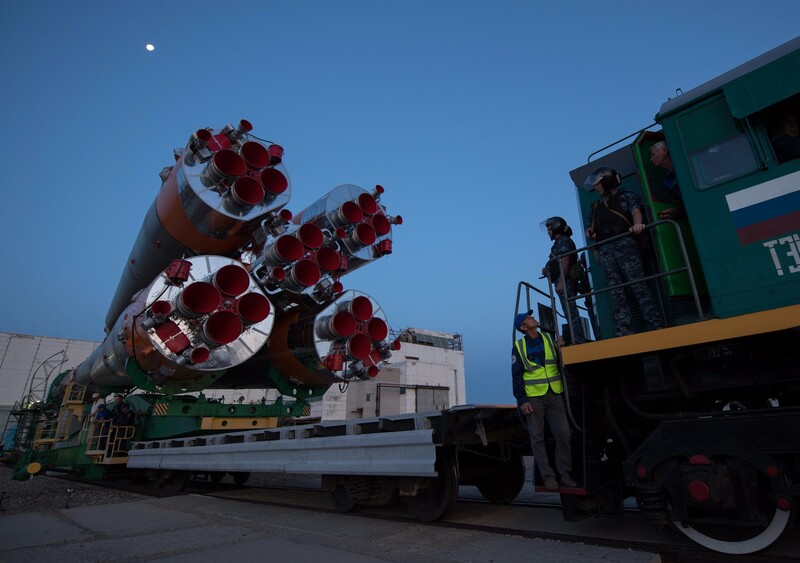 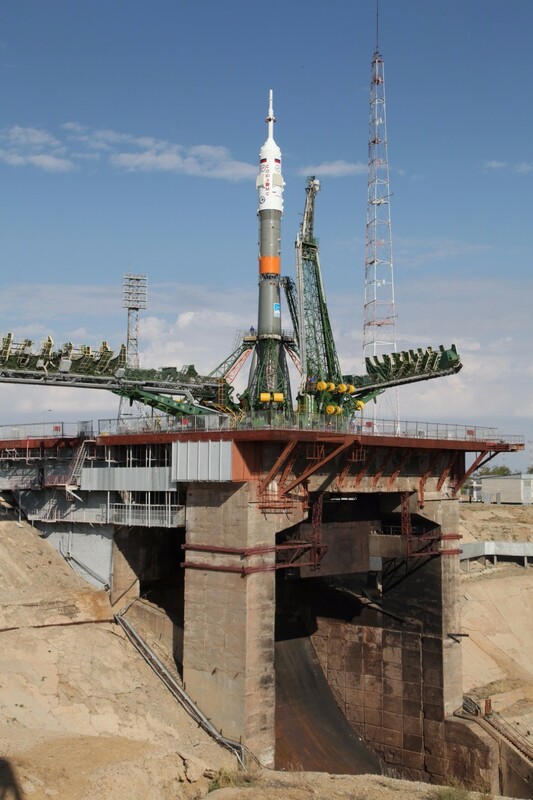 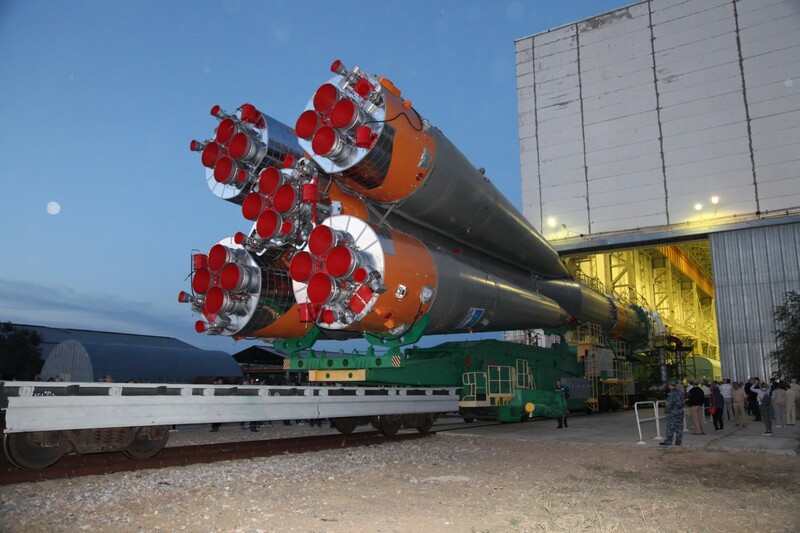 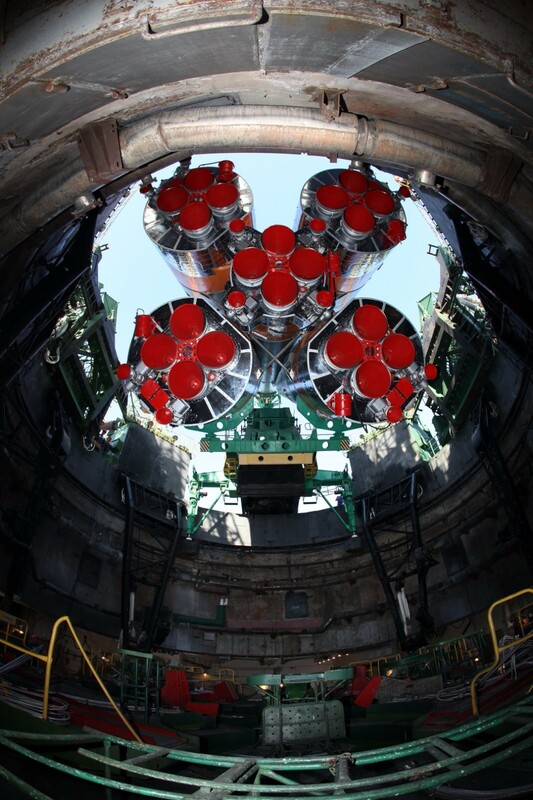 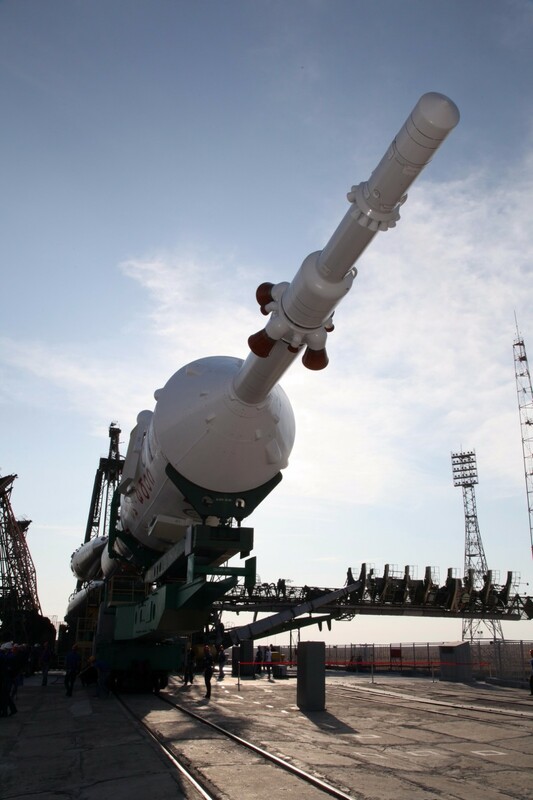 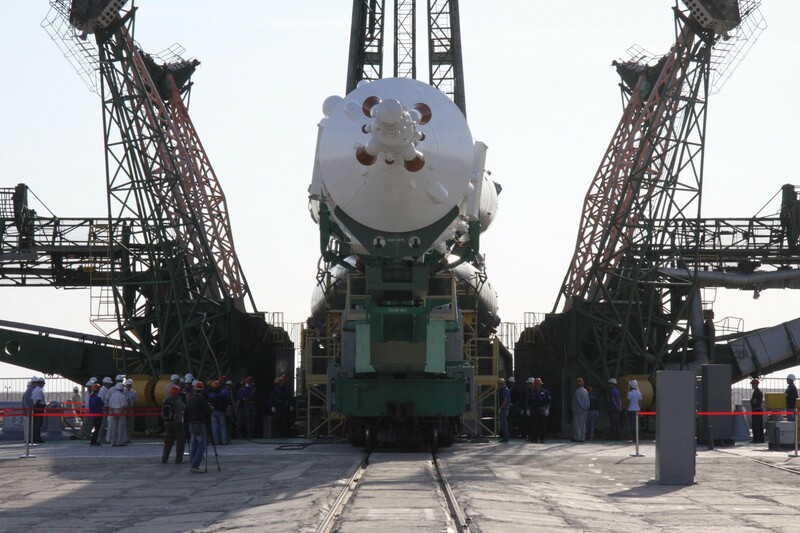 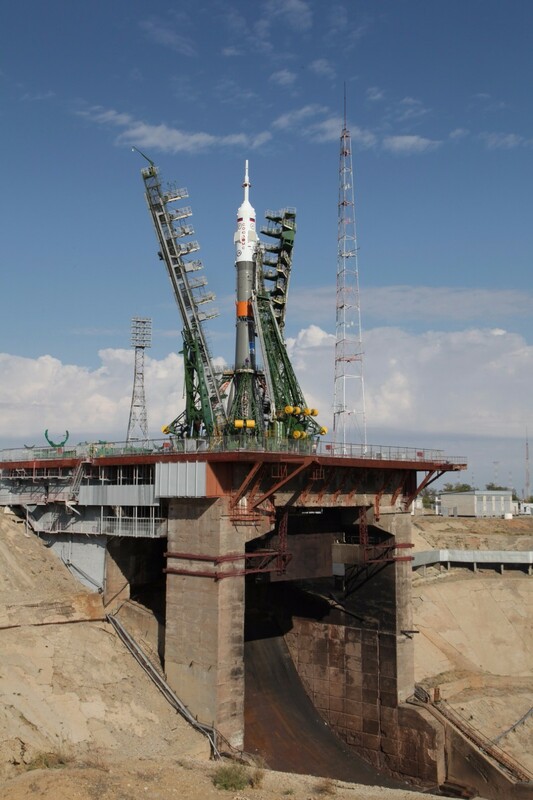 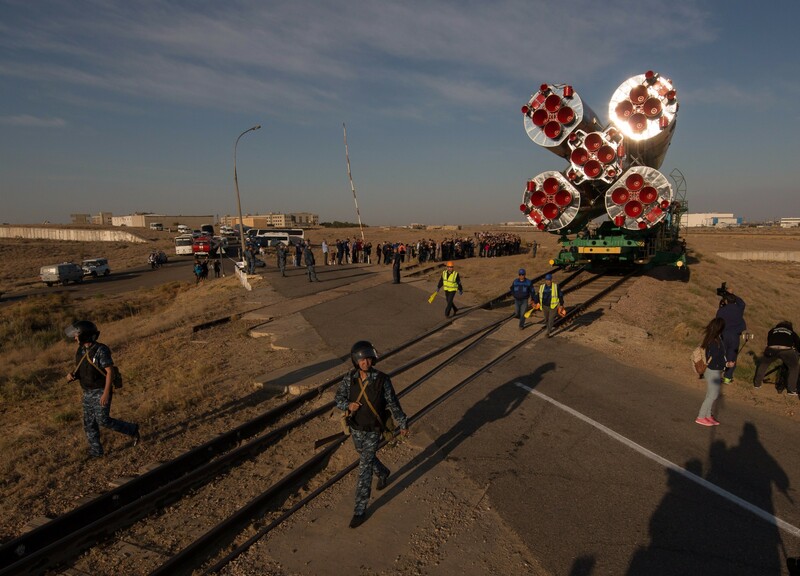 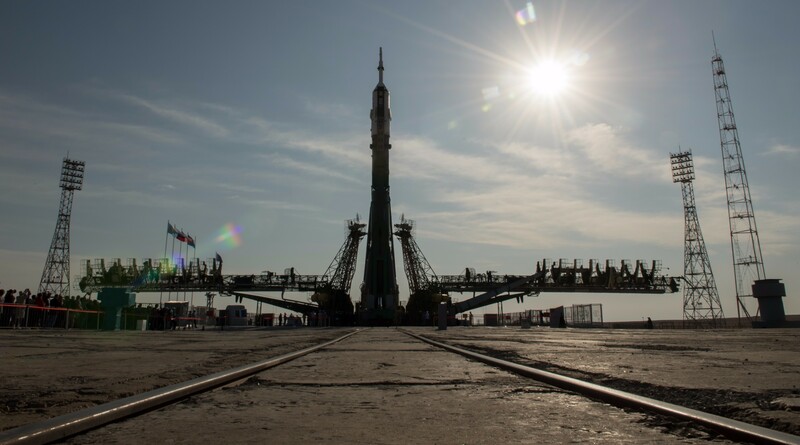 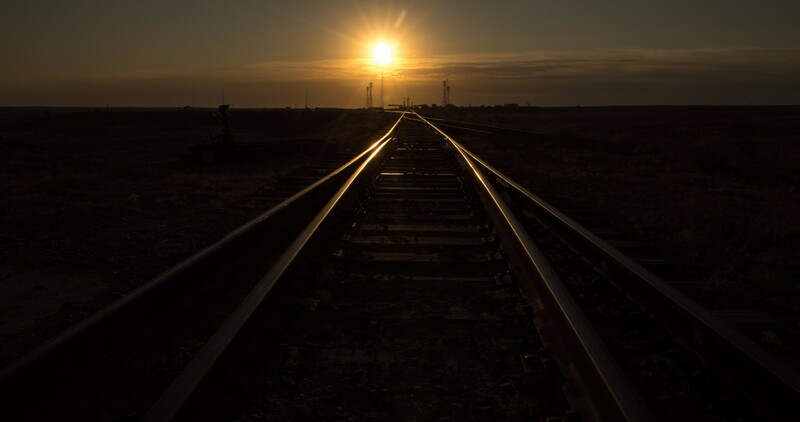 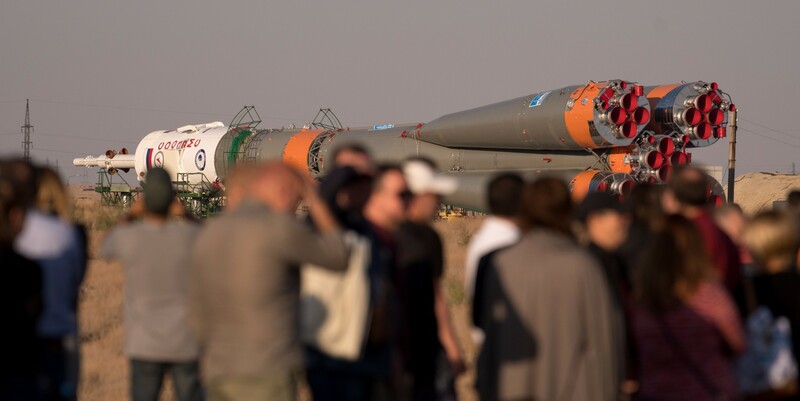 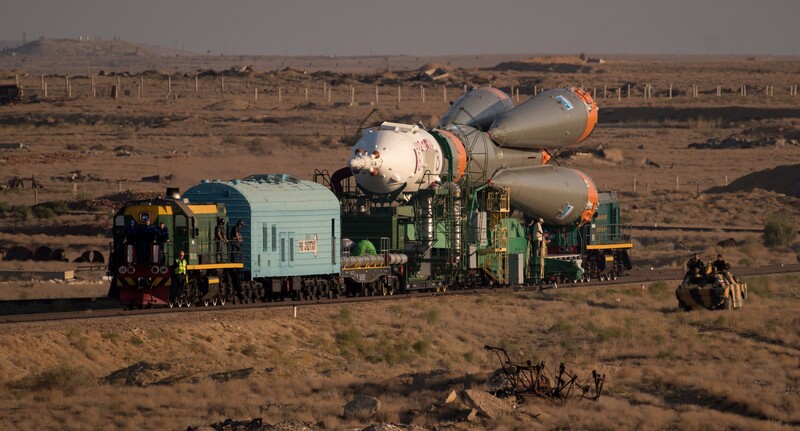 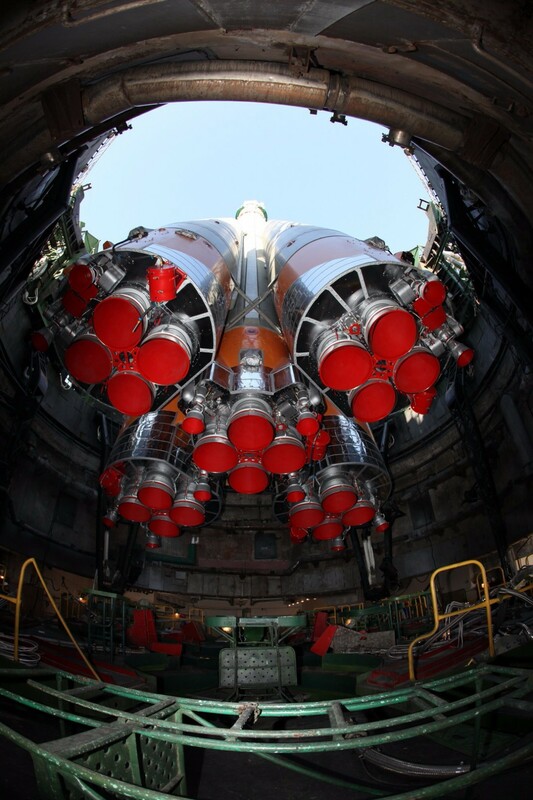 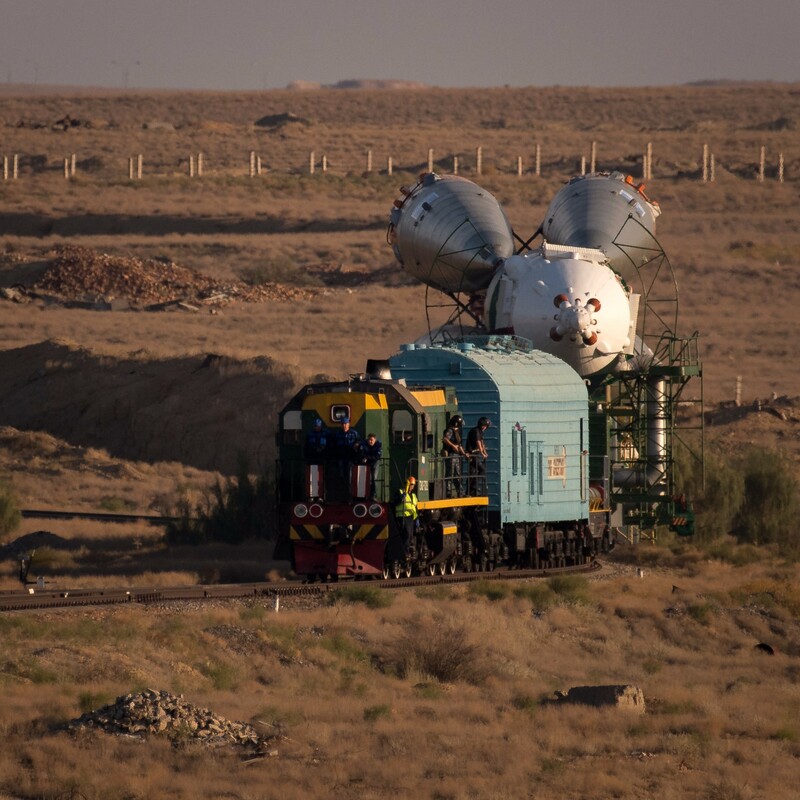 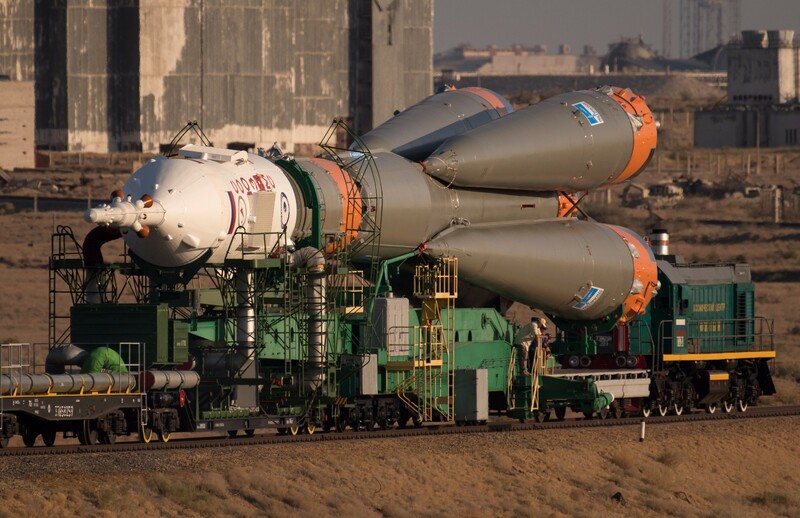 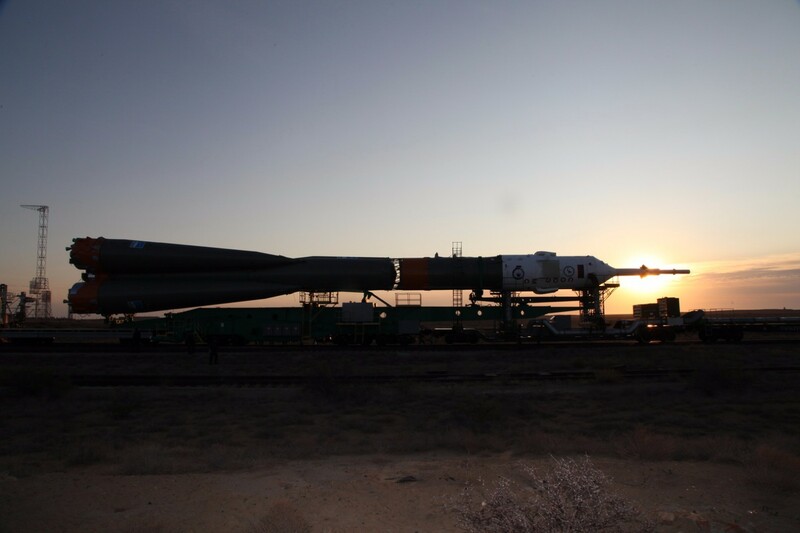 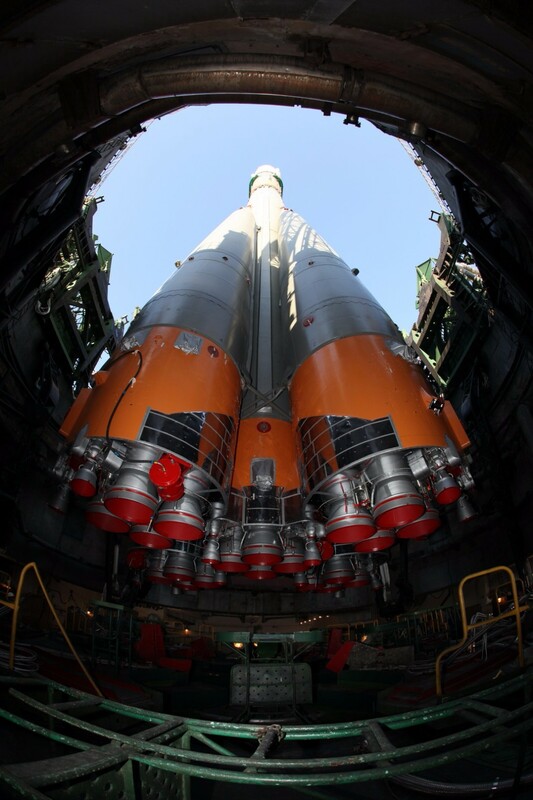 Russia’s Soyuz FG rocket emerged from its MIK Assembly Facility at the traditional early morning hour on Sunday to roll to its historic Baikonur launch pad in preparation for liftoff with a crew of three. 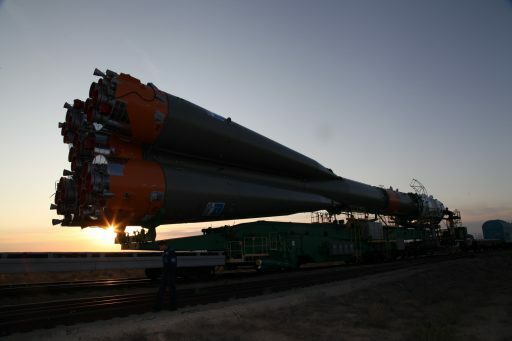 Starting its rollout at dawn, Soyuz was greeted by a colorful sunrise as it made its way to Site 1/5 where it was placed in its vertical launch position to allow umbilical towers to be hooked up to the 49.5-meter tall rocket for a two-day on-pad testing campaign. 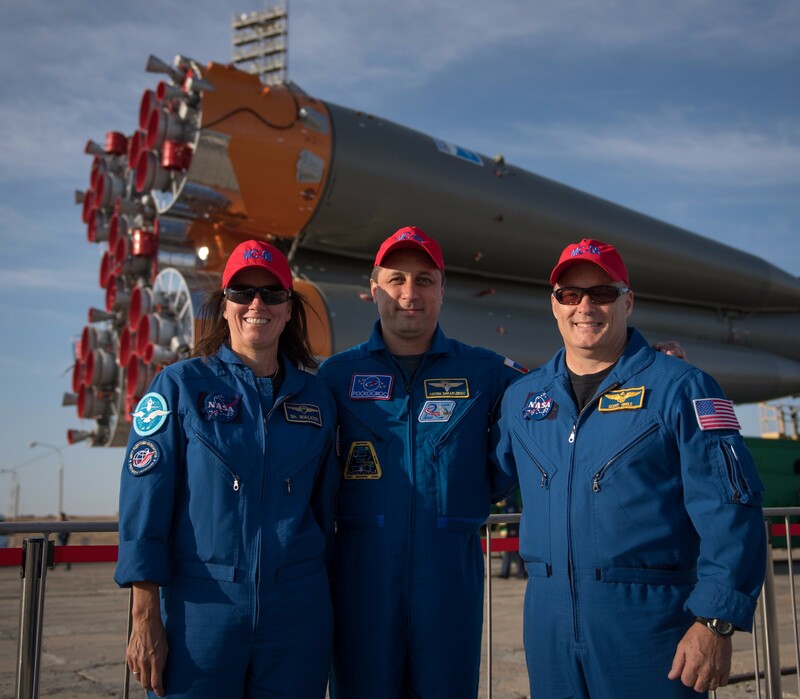 Sunday’s rollout was attended by Soyuz MS-06 backup crew members Anton Shkaplerov, Scott Tingle and Shannon Walker; the three prime crew members did not attend the rollout but were able to visit their Soyuz FG rocket earlier in the week as part of their launch campaign preps. 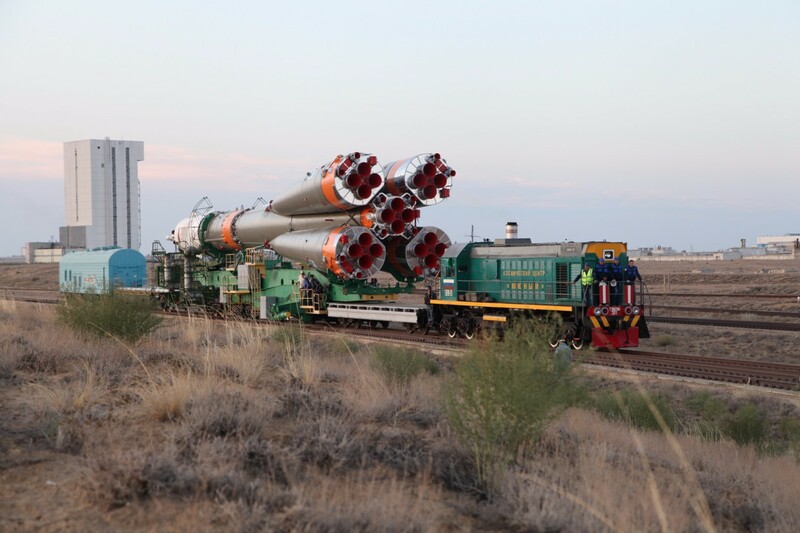 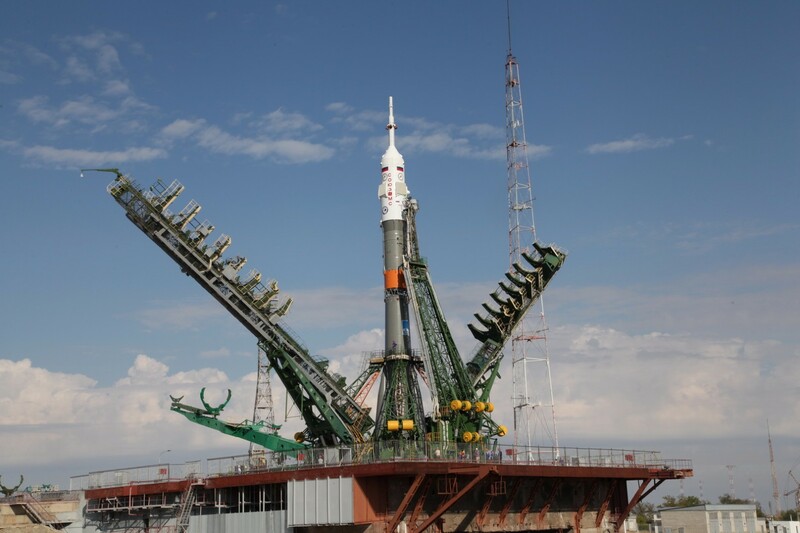 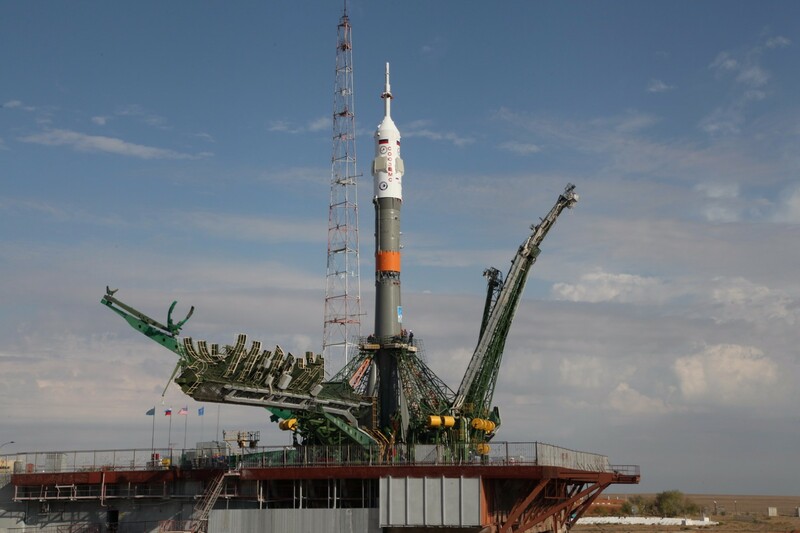 Preparations continue on track for liftoff at 21:17 UTC on Tuesday and Soyuz will be in action for nine minutes to send Soyuz MS-06 into orbit. 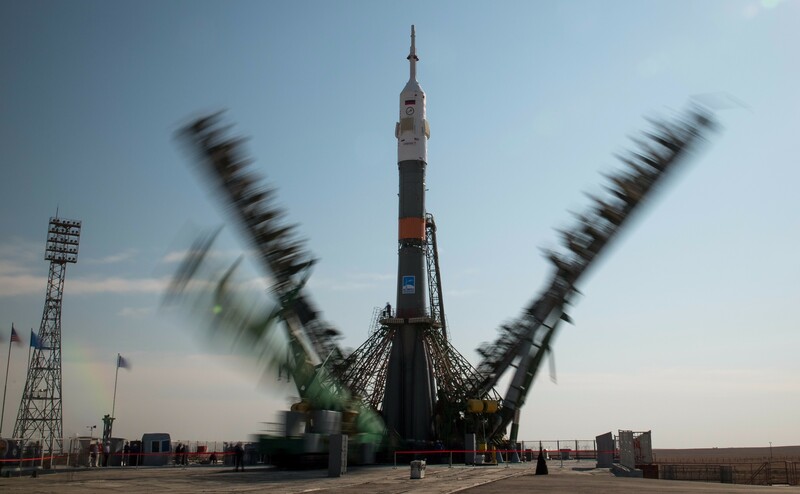 Commander Aleksandr Misurkin and Flight Engineers Mark Vande Hei and Joe Acaba are set for a four-orbit, six-hour rendezvous with the International Space Station, aiming for docking to the Poisk module at 2:57 UTC to kick off a five-and-a-half-month stay aboard the orbiting laboratory.